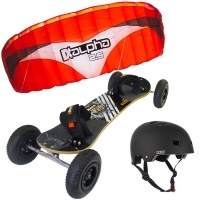 The Kheo Kicker and the HQ Alpha powerkite make an awesome package that is great on the pocket and rides even better. Comes with a bullet skate helmet in the deal to complete the package. This everything you need to start kiteboarding or landboarding. 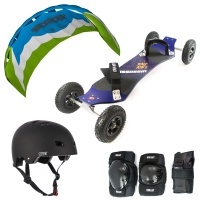 The excellent HQ Assassin with the HQ Beamer powerkite plus helmet and pads to keep you safe.